Audi A4 Quattro 2002-2006. Audi A4 2002-2005. Expansion Tank x 1. We do not compensate your labor, towing, repair, rental expenses or any other related expenses. 8E0121403 AU3014101. Cooling system. ADD TO FAVS. 2002-2005 Audi A4 Quattro 1.8L with M/T Trans. 2006-2007 Audi A4 Quattro 2.0L with M/T Trans. 2002-2005 Audi A4 1.8L with M/T Trans. 2006-2007 Audi A4 2.0L with M/T Trans. Transmission & Drivetrain. Radiator x1. #8E0121403 Coolant Reservoir Tank w/Cap For Audi A4 4Cyl 1.8L 2002-2009. 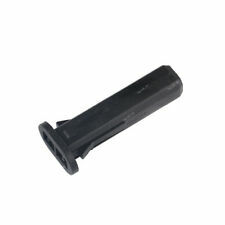 - Replace Part number : 8E0121403. 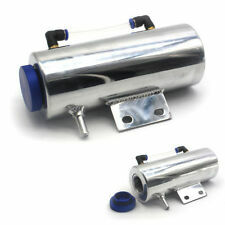 -Part Type : Radiator Coolant Expansion Tank w/ Cap. 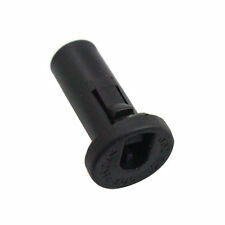 Fits Audi A4 4Cyl 1.8L. - Quantity : 1Pcs. 2000 Audi A4 Quattro Avant, Base 2.8L V6 - Gas. 2001 Audi A4 Base 2.8L V6 - Gas. 2000 Audi A4 Base 2.8L V6 - Gas. 1999 Audi A4 Quattro Avant, Base 2.8L V6 - Gas. 1999 Audi A4 Base 2.8L V6 - Gas. 1998 Audi A4 Avant, Base 2.8L V6 - Gas. 2002-2005 Audi A4 Quattro 1.8L with M/T Trans. 2006-2007 Audi A4 Quattro 2.0L with M/T Trans. 2002-2005 Audi A4 1.8L with M/T Trans. 2006-2007 Audi A4 2.0L with M/T Trans. Radiator x1. genuine parts. [Vehicle Compatibilities]. 2002-2005 Audi A4 Quattro Avant 6Cyl 3.0L. 2002-2005 Audi A4 Quattro Base 6Cyl 3.0L. 2004 Audi A4 Avant 6Cyl 3.0L. 2002 Audi A4 Base 6Cyl 3.0L. 2003-2005 Audi A4 Base 6Cyl 3.0L. THIS PART FITS. Material : Plastic. 2002-2005 Audi A4 Quattro 1.8L with M/T Trans. 2006-2007 Audi A4 Quattro 2.0L with M/T Trans. 2002-2005 Audi A4 1.8L with M/T Trans. 2006-2007 Audi A4 2.0L with M/T Trans. Radiator x1. We will do our best to provide you with the best buying experience. About the Part Part Name： Radiator Coolant Expansion Tank w/ Cap Part Number： 8E0121403 Part Quantity: 1Pcs Part Condition : New Vehicle Fitment Fits Audi A4 4Cyl 1.8L To confirm that this part fits your vehicle, please check double check the part number before purchase as the Compatibility Table is not accurate 100% .If you have questions about the product or your order please contact us via eBay Messages for assistance. Thank you. A6 S6 2005-2010. -Part Type : Radiator Pipe Water Hose. Established in 2010, specializes in Car Parts. 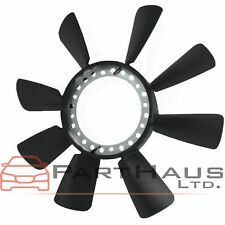 -Replace Part number : 06E 121 045 E.
About the Part Part Name： Radiator Coolant Expansion Tank w/ Cap Part Number： 8E0121403A Part Quantity: 1Pcs Part Condition : New Vehicle Fitment Fits Audi A4 Base 3.0 V6 BGN from 2002-2005 Audi A4 Quattro 3.0 V6 from 2002-2005 To confirm that this part fits your vehicle, please check double check the part number before purchase as the Compatibility Table is not accurate 100% .If you have questions about the product or your order please contact us via eBay Messages for assistance. Thank you. Replaces Partslink Number: AU1225124. Overdrive has been in the automotive parts industry for over 15 years. FIND THE RIGHT PART FOR YOUR CAR. Newly Listed. QUICK LINKS. MIRROR ASSEMBLIES. MIRROR GLASS. 1997-2002 Audi A4 Quattro V6 2.8L with M/T trans. 1996 Audi A4/A4 Quattro V6 2.8L From 4/96;VIN 8D. T.237 001; w/ M/T; Thru 4/96; VIN 8D. T.237 000; w/ Update Radiator. 1998 Audi A6 Quattro Radiator V6 2.8L (8th Vin Digit B) with M/T trans. 2000 Audi A4 Quattro Avant, Base 2.8L V6 - Gas. 1999 Audi A4 Quattro Avant, Base 2.8L V6 - Gas. 1998 Audi A4 Quattro Avant, Base 2.8L V6 - Gas. 1997 Audi A4 Quattro Base 2.8L V6 - Gas. 2001 Audi A4 Base 2.8L V6 - Gas. Interchange Number: AU1225124. Product Type: Front Radiator Support. Position on Vehicle: Front. com in order to receive updates regarding your order. Processing Details. 2008 2009 2010 2011 2012 2013 2014 2015 2016 2017 Audi S5. 2010 2011 Audi A5. 2008 2009 2010 2011 2012 2013 2014 2015 2016 2017 Audi A5 Quattro. 2010 2011 2012 2013 2014 2015 2016 Audi S4. 2009 2010 2011 2012 2013 2014 2015 2016 Audi A4. AUDI Q5 2009-2017. AUDI A5 2011-2017. Audi A6 Quattro 2016-2017. AUDI A4 2009-2016. Audi A6 2015-2017. 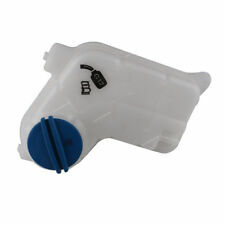 Coolant Expansion Tank X 1PCS. Audi SQ5 2014- 2017. We do not compensate your labor, towing, repair, rental expenses or any other related expenses. Audi A4 Quattro 2002-2006. Audi A4 2002-2005. Expansion Tank x 1. Over 30 years experience. genuine parts. [Vehicle Compatibilities]. 8E0121403 AU3014101. [Parts Numbers]. 1999-02 Audi A4 Quattro Quattro V6 2.8L Dorman 603-703. 1999-02 Audi A4 Quattro Quattro L4 1.8L Dorman 603-703. 1998 Audi A4 Quattro Quattro V6 2.8L Dorman 603-703. 1998 Audi A4 Quattro Quattro L4 1.8L Dorman 603-703. 2002-08 Audi A4 Quattro V6 3.2L. 2002-08 Audi A4 Quattro V6 3.0L. 2002-05 Audi A6 Quattro V6 3.0L. 2002-08 Audi A4 V6 3.0L. 2002-08 Audi A4 V6 3.2L. 2002-05 Audi A6 Quattro V6 3.2L. 2002-05 Audi A6 V6 3.0L. AUDI Q5 2009-2017. Audi A6 Quattro 2016-2017. AUDI A5 2011-2017. Audi A6 2015-2017. AUDI A4 2009-2016. Coolant Expansion Tank X 1PCS. Audi SQ5 2014- 2017. genuine parts. Audi A4 Quattro 2002-2006. Audi A4 2002-2005. Expansion Tank x 1. We do not compensate your labor, towing, repair, rental expenses or any other related expenses. Add to FAVS. useful links. 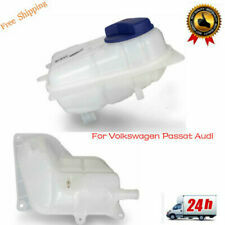 About the Part Part Name： Radiator Coolant Expansion Tank w/ Cap Part Number： 8D0121403L Part Quantity: 1Pcs Part Condition : New Vehicle Fitment Fits 1999-02 Audi A4 V6 2.8L 1998 Audi A4 V6 2.8L (From VIN W007800) 1999-02 Audi A4 L4 1.8L 1998 Audi A4 L4 1.8L (From VIN W007800) 1999-02 Audi A4 Quattro Quattro V6 2.8L 1999-02 Audi A4 Quattro Quattro L4 1.8L 1998 Audi A4 Quattro Quattro V6 2.8L 1998 Audi A4 Quattro Quattro L4 1.8L 1999-02 Audi A4 Quattro V6 2.8L 1998 Audi A4 Quattro V6 2.8L (From VIN W007800) 1999-02 Audi A4 Quattro L4 1.8L 1998 Audi A4 Quattro L4 1.8L (From VIN W007800) 1998-01 Audi A6 V6 2.8L 1998-01 Audi A6 Quattro V6 2.8L 2003 Audi RS6 2004 Audi RS6 V8 4.2L 2000-02 Audi S4 V6 2.7L 1998-04 VW Passat V6 2.8L 2004-05 VW Passat L4 2.0L Diesel 1998-05 VW Passat L4 1.8L. Description: 100% Brand New, Never been used. Made of high quality maetrial. Helps Cool down the Radiator for longer life Can be used for both Push & Pull Mode Light Weight / Slim Design Alow more Cleaeance with Engine Components Instruction is not included. Professional installation is highly recommended Radiator Fan Diameter: 10" INCH Maximum Fan 2250 RPM CFM: Pull 1200-1450cfm Push 1350-1550cfm Made out of PVC Plastic Volts: 12V~Maximum Fan 2250 RPM CFM: Pull 1200-1450cfm Push 1350-1550cfm Radiator Coolant Tank. 1996 Audi A4/A4 Quattro V6 2.8L From 4/96;VIN 8D. T.237 001; w/ M/T; Thru 4/96; VIN 8D. T.237 000; w/ Update Radiator. 1997-2002 Audi A4 Quattro V6 2.8L with M/T trans. 1997-2002 Audi A4 V6 2.8L with M/T trans. 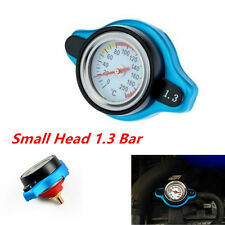 New Universal Small Head RACING Thermost Radiator Cap COVER Water Temp Gauge 1.3 BAR Cover. 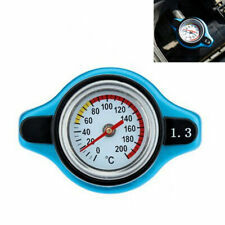 Improved radiator pressure for increased cooling performance. 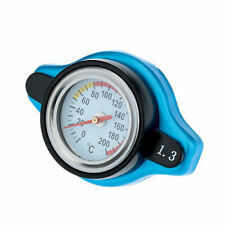 Provides an accurate temperature reading of your coolant. Vehicle Model: A4. Vehicle body type: 2 DOOR CONVERTIBLE AT. Vehicle Make: AUDI. Vehicle Year: 2003. We do try to respond. - The item has "small scratches" or "normal wear" due to the fact that these are used parts. 2002-2006 AUDI A4 1.8L engine. 2002-2009 AUDI S4 2.7L & 4.2L engine;. 2007-2008 AUDI RS4 4.2L engine;. Only fit for the listed Compatible Vehicles. 2002 2003 2004 2005 Audi A4 (2nd Generation). 2002 2003 2004 2005 Audi A4 Quattro. Audi A4 Quattro 2002-2006. Audi A4 2002-2005. 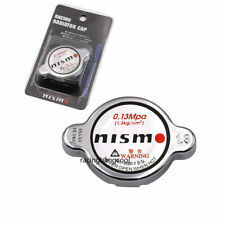 Tank w/Cap x 1pcs. We do not compensate your labor, towing, repair, rental expenses or any other related expenses. Add to FAVS. useful links. We will do our best to provide you with the best buying experience. 2002-2009 AUDI S4 2.7L & 4.2L engine;. 2002-2006 AUDI A4 1.8L engine. 2007-2008 AUDI RS4 4.2L engine;. 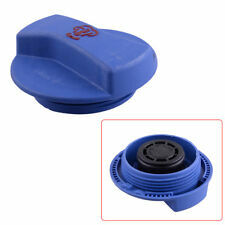 Radiator Overflow Expansion Tank Cap For VW Jetta AUDI 1J0 121 321B, 3B0 121 321. VW Jetta 2006-2014. 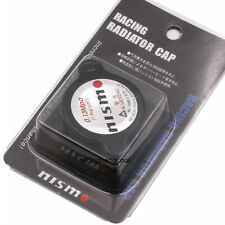 -Part Type :Radiator Overflow Expansion Tank Cap. Golf 2004-2013 MK5 MK6. AUDI A1 2011-2014. -Condition : New. 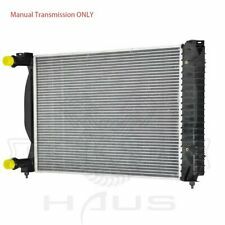 Specification: A4/S4 09-16 / Q5 11-17 Radiator, 2.0L, Automatic Transmission. 2009-2012 Audi A4 Quattro Avant 4Cyl 2.0L. 2009-2012 Audi A4 Quattro Base 4Cyl 2.0L. 2009-2012 Audi A4 Base 4Cyl 2.0L. Audi A4 Quattro 2002. 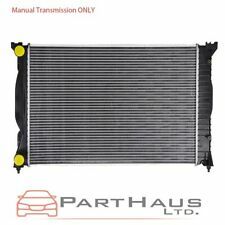 Fits:- Audi A4 Quattro 3.0 L. Part:- Radiator Support Assembly. 1996 1997 1998 1999 2000 2001 2002 Audi A4 Quattro. 1996 1997 1998 1999 2000 2001 2002 Audi A4. Vehicle Model: A4 QUATRO. Vehicle Make: AUDI. We do try to respond. - The item has "small scratches" or "normal wear" due to the fact that these are used parts. - The item is a different color than what you thought. Axle Assembly. Blower Motor Assembly. 2002 2003 2004 2005 Audi A4 (Base & Avant). Radiator Assembly. Radiator Support. Radiator & A/C Fan Motor. Heater Core. Failure to do so could cause delays in processing your order. 2002-08 Audi A4 Quattro V6 3.2L. 2002-08 Audi A4 Quattro V6 3.0L. 2002-05 Audi A6 Quattro V6 3.0L. 2002-05 Audi A6 Quattro V6 3.2L. 2002-05 Audi A6 V6 3.0L. 2002-05 Audi A6 V6 3.2L. 2002-08 Audi A4 V6 3.0L.